This multimedia piece was presented by invitation at the prestigious LOOK3 Festival of the Photograph which took place at the beginning of June 2011. 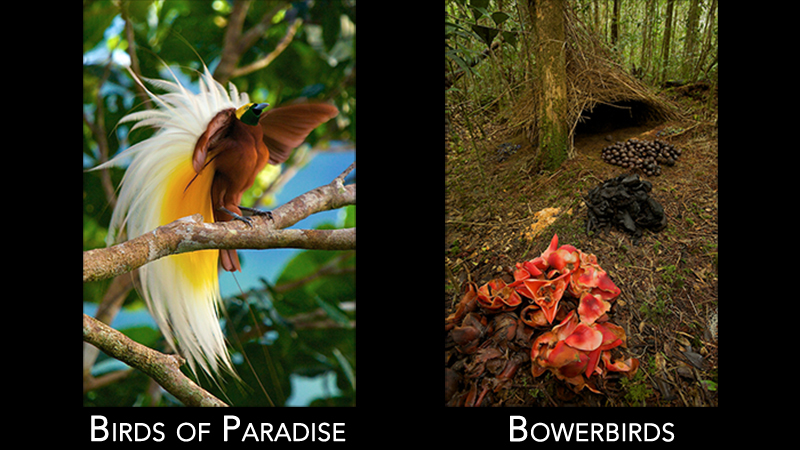 It looks at the mating behavior of the birds of paradise and bowerbirds. They both live in the New Guinea region and have developed very different and distinct ways that the males attract the females.